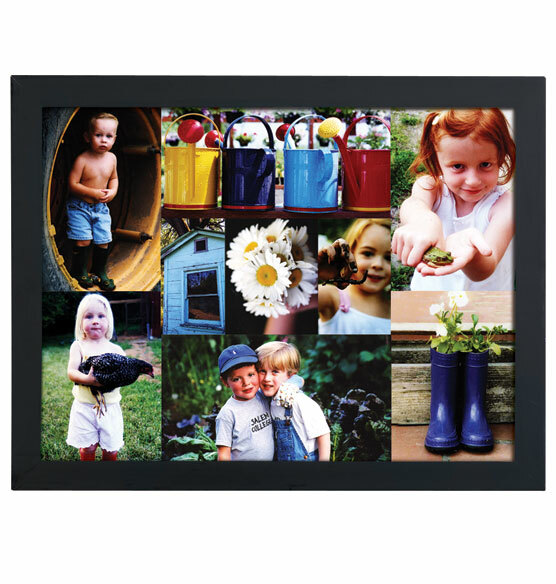 Send us nine photos Black & White or Color, Horizontal or Vertical, up to 8" x 10" and we will design a 9 photo collage canvas for you. 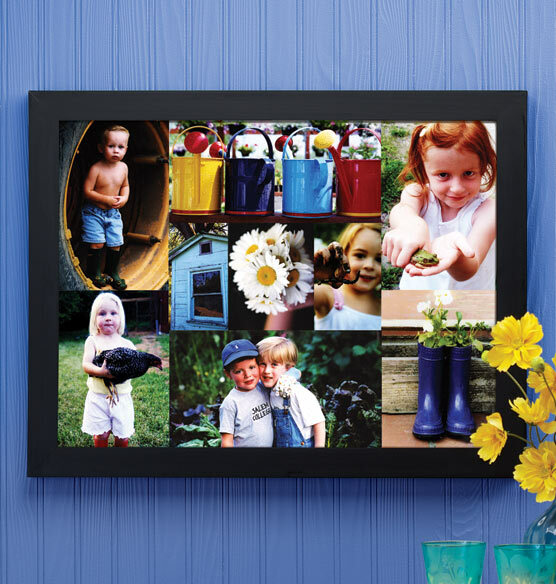 Your photos will be reproduced on canvas, stretched over a wood frame, ready for hanging. Unframed canvas measures 24" x 18". (We cannot accept slides, negatives or copyrighted photos/art). Sorry, no gift boxing. This is our 4th custom photo collage from Exposures and we just absolutely adore them all! We get many compliments from our friends and neighbors about the collages. We always recommend Exposures and pass on a catalog to them when we have an extra one nearby. where do i personalize this? BEST ANSWER: Thank you for your question. The personalization occurs right on our website. We hope this information will be of help to you. can photos be sent digitally? BEST ANSWER: Thank you for your question. You can attach the photos to the order when placing the order on the website, or they can be emailed in to exposures@exposuresonline.com. We hope this information will be of help to you.